If all goes well, next summer my wife and I will be spending a month in Granada, Spain. The following is everything I have learned so far, some obvious hurdles and some exciting ideas to get you excited about your own yearly adventure. Vacation Rental Websites – Did you know AirBnB significantly discounts (sometimes up to 40% – 50% off the nightly rate) accommodations that are for 1 month or longer? This can make a room with a view your new apartment abroad. This is my personal go to and how I landed on an apartment with a view of the Alhambra in Spain for half the cost of the nightly booking rate. This obviously requires you book far in advance. If you’re doing this on the cheap, then turn around and rent out your house or apartment on Airbnb or VRBO while you are gone. This can pay for at least part of your trip. I always want a view so am willing to pay a little more for the luxury of drinking a cup of coffee in my pajamas looking at the reason why I traveled so far. Land Without A Booking – If you want to do this as cheaply as possible your best bet is to land and then find a place to live. Make some friends and ask around. This was how I found our first apartment in Spain and it worked out well. We simply walked the streets of some neighborhoods we liked and looked up. For rent signs Se Aquila were everywhere. We called a few and bam. We had a place to live. When you land a helpful tip is to pick up a local newspaper and scan the classifieds. These are still prevalent in many countries outside the United States. The below video I made just for fun a few years ago. A “Cribs” episode of our apartment in a small village in southern Spain. To find this apartment we used the “Land Without A Booking” method and rented this 3 bed / 2 bath apartment for about $400 USD per month. Negotiate With A Hotel – No this won’t work for big chains like the Marriott but for botique or smaller local hotels many times the owner would love a room booked for 30+ days. I know a friend who was able to live in a nice hotel (with an amazing view) for $30 a night. Bonus, you don’t have to wash your own sheets. WWOOF – Worldwide Opportunities on Organic Farms. Volunteer on a farm in almost any country in the world where you exchange labor for free room and board. I have done this in Ireland. See details on WOOFing here. Airbnb Apartment – Granada, Spain. Million dollar view of the Alhambra. $1,200 for a month. Looks like a great place to write a book. House For Rent in Bali for $600/Month. Comes with a pool. Long Distance Treks – This type of travel can be one of the cheapest ways (and most rewarding) to live abroad. 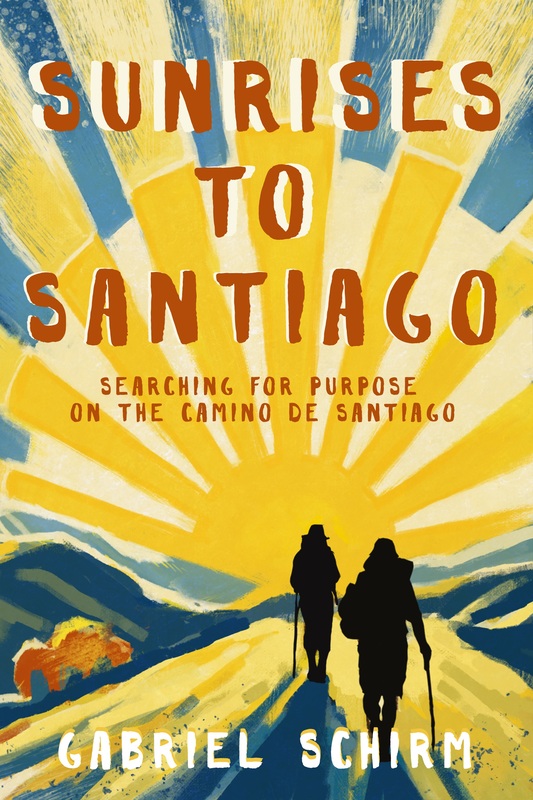 When my wife and I hiked the Camino de Santiago we were in Spain for 33 days. There are dozens and dozens of long distance treks that offer opportunities to live abroad “albeit more adventurously” for a long period of time. Sign Up For The “Live Your Purpose” Newsletter Here if this type of travel is interesting to you, as I always include amazing long distance treks on my radar. Rent a Camper Van – A popular way to see New Zealand and some other driver friendly countries, is by renting a camper van. This provides both your transportation and your accommodations. For a month expect to spend about $2,000 on this option. Visa – Most countries in the world allow you (especially on a passport from the United States or Canada) to spend up to a set amount of months (typically 3 – 4) without needing any special Visa. Make Money While You Are Gone – Put up your house/apartment on Airbnb or another site like VRBO to make some cash while you are gone.